You know how I write fanfics every week? And it is all about writing the wholesome family films I used to love from the 90s and 2000s with the cast I love from back then and today? This is it! This is the movie I would have written! It even stars Juhi and Rajkummar, just like I always cast my films! So if you like that kind of old-fashioned plodding but happy with a lot of songs and stars and emotion kind of film, this is the one for you! That isn’t to say it is a great movie, or a groundbreaking subtle interesting one. It’s very Rajshri in terms of film style. The camera doesn’t move a lot, characters tend to say exactly what they feel, and after a lot of tears, everyone has a super happy ending. Don’t go into it looking for that new age kind of digital filmmaking, with the natural lighting and constant edits, and cool camera angles, and all of that. Or for the new age scripts, that make you try to figure out what people are feeling instead of them just facing the camera and saying exactly what they are feeling. If you are a fancy film person who likes arty unclear plots and slanty angles and nasty characters, you will not like this movie. But then, you also won’t like this blog! Just this morning, we were all discussing how very much we did not like Bombay Talkie. This movie is the anti-Bombay Talkie. Everyone is super super nice and you will love every character and want what is best for them. And you will never be confused or be challenged to fill in the gaps in the plot, or any of that hard stuff. It’s all pleasant and simple and happy. And Anil Kapoor. It is also all about Anil Kapoor. The plot revolves around Sonam. And Rajkumar is our entry character. But Anil Kapoor is everything. He is the one with the biggest emotional journey, and it is his emotional journey that changes everything. Not to mention that he is also the most purely “good” character in the film. Not boring good, not noble and speechy like most fathers, but truly truly good. He loves his kids, he loves his mother, he loves his town, he is happy making everyone else happy. He is the perfect man, buried away in a small town in the Punjab, and this movie is about him slowly growing to an even higher level of perfection. I think I can safely say that every woman alive will watch this movie and come out wanting Anil to be either her father or her lover. Or, possibly, a very confused combination of both depending on the scene. 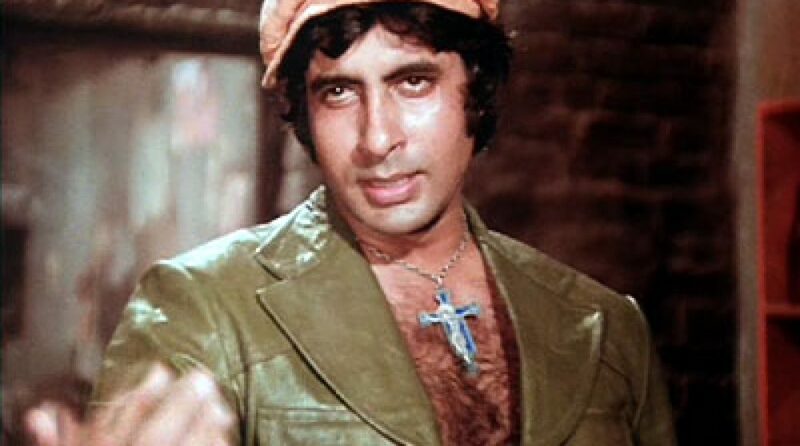 Anil is by far the best character, but no character in this film is underserved. Rajkummar has a backstory and a minor conflict of his own, Juhi does too, they aren’t just there as window-dressing around the main plot. In that way, this is a film that is written better than a lot of those more arty ones, because it manages to fit in many many stories. Or maybe that is just another way it is a throwback, giving us all these nice plots with their own nice resolutions. So, to sum up, Watch It!!!! If you are reading DCIB, you will like it. If you are not a DCIBer, you may not. It’s kind of corny and sentimental and predictable and has a truly unrealistic happy ending. 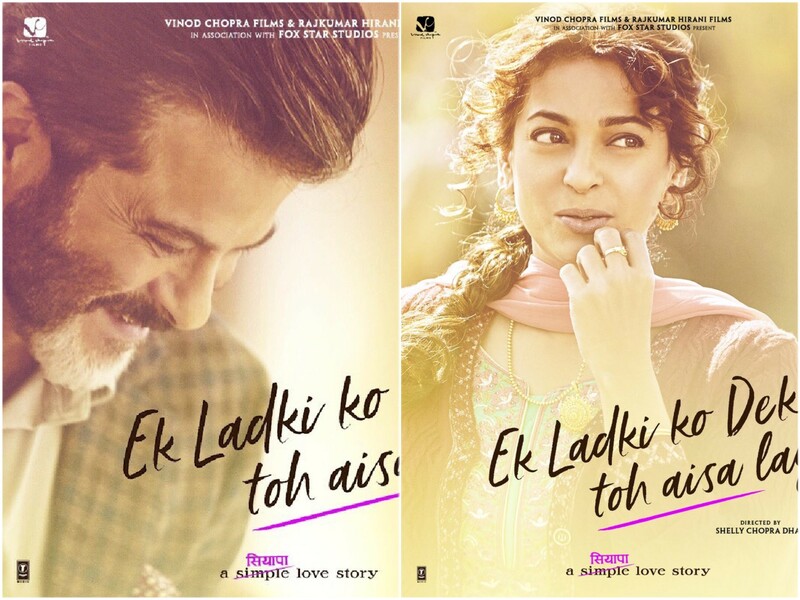 This entry was posted in Uncategorized and tagged Anil Kapoor, Ek Ladki Ko Dekho, Juhi Chawla, Rajkummar Rao, Review, Sonam Kapoor by mredlich21. Bookmark the permalink. So how’s Sonam’s performance? You have mentioned Anil, Rajkumar &Juhi but not Sonam. Oh, she’s terrrrrrrrrrrrrrrible. As expected. She can be good in the right role, but I just don’t think she can do big emotional break downs. Good thing is, the film really is more about the people around her than her character. We need to understand Anil and Rajkummar and even Juhi far more than Sonam. Sonam is just there to be silent and strained looking. And I do think it added something to Anil’s performance to be opposite his real life daughter, so if we think of her casting as just a tool to get a better performance out of Anil, and not as her being an actress in her own right, it makes perfect sense. Just going to keep myself busy with schoolwork and other stuff not related to ELKDTAL. I’m glad the film is really as happy as promised in what seems the best way possible. In a cynical world this will be like a breath of fresh air, especially in the winter cold. Oh, definitely! Happy happy throwback movie. Thanks for the reviews. Somehow I alreda had the feeling that it would be a warm and nice movie with no explicit scenes. Oh, I wonder if that is why they delayed the release? I think they finished the film back in the fall, so it could have come out any time now, maybe they picked Feb 1 to coincide with Pride? Would be logical and is a good idea. Eek, I missed that you’d reviewed this already. I’m glad it’s a happy old fashioned movie. I probably won’t go to see it in theaters, but look forward to streaming. I won’t read your spoiler review because it seems like this would be a nice journey to go on with the characters some day. A wag on social media posted a review of this which basically said it is an entire movie constructed around, and enlisting really good character actors to cover, the fact that Sonam can’t act. Ouch. Yeah, she’s not great. But, as I keep reminding people, in this particular case it might be that no other actress was willing to take the role. The whole cast are folks with a history of support for LGBT issues, could be the only ones who were willing to take these roles. Or maybe did them for free.